Maryam Omari is Associate Professor in the School of Business in the Faculty of Business and Law, Edith Cowan University. Her research interests lie in dignity and respect at work, cross-cultural management, quality of work-life issues and parallels between behaviours of animals in the natural world and those of humans at work. Megan Paull is a co-director of the Centre for Responsible Citizenship and Sustainability, Director of Postgraduate Research and a Senior Lecturer in the School of Management and Governance at Murdoch University. 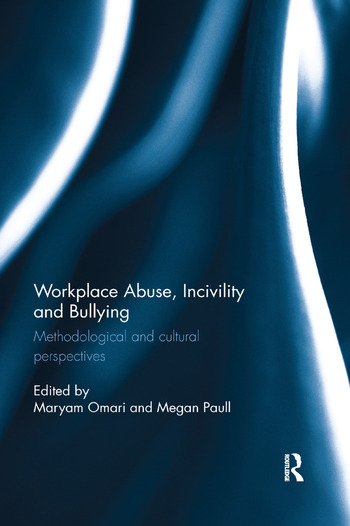 Her research interests are in the areas of volunteering and nonprofit organisations, bullying and organisational behaviour and learning and teaching in higher education.